Louisiana’s coastal wetlands are the largest in the United States, comprising 40% of our nation’s wetlands. Their health and sustainability directly affects the ecological, economic, social, and cultural prosperity of the state, country, and even the world. For close to a century, Louisiana wetlands have been disappearing at a dangerously alarming rate, creating the most urgent ecological crises in the history of the United States. Due to natural causes and human interventions, Louisiana lost 1.2 million acres of coastal land from 1932 to 2010 (U.S. Geological Survey, taken from http://pubs.usgs.gov/of/2002/of02-206/env-status/swpontchartrain.html). Every hour, a wetlands area, the size of a football field, vanishes into the Gulf of Mexico. Every year, an average of 10,000 acres of land vanishes into open waters. In the next five decades, the Louisiana coast is expected to lose another 1,800 square miles – more than the area of Lake Pontchartrain (U.S. Geological Survey). Though the crisis has been identified, studies have been undertaken and mitigation efforts have begun, studies show that we will continue to lose more of the wetlands if mitigation efforts remain at the same level. 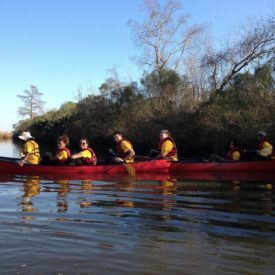 Louisiana’s coast includes bays and lakes, barrier islands, cheniers, natural levee forests, swamps, and marshes and cypress forests, all of which work in concert to maintain the ecological resilience of our natural environment. Given the diverse landscape as well as the multiple causes of land degradation, experts and leaders recognize the need for a multiple lines of defense approach to creating a sustainable, resilient coast. 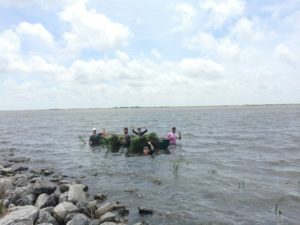 In 2017, the state of Louisiana adopted Coast 2050: Toward a Sustainable Coastal Louisiana, a fifty-year, multi-billion dollar strategic plan that identifies a full suite of man-made structural and non-structural strategies, ranging from large-scale berms to sediment diversions to small-scale, localized plantings of native trees and grasses. In support of its mission and Coast 2050, Common Ground Relief has expanded its Environmental Restoration Initiative, an integrated platform of programs, projects and services designed to achieve two primary goals: (1) create sustainable, healthy and functioning coastal wetlands; and (2) foster a new generation of environmental stewards who have the skills, knowledge, passion and commitment to create and sustain robust wetlands in the Gulf Coast and beyond. At Common Ground Relief, we believe that the success of the Coastal Master Plan will require significant engagement by Louisiana and New Orleans residents, as well as visitors from around the country and world. 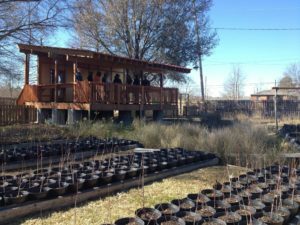 To help rebuild and stabilize our vital greenscape, Common Ground Relief has initiated a community based, community led program to grow, plant and monitor native plants in Southeast Louisiana. 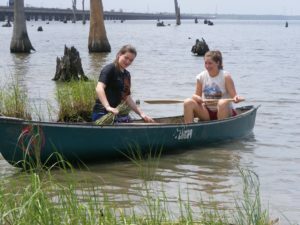 To achieve our goals, Common Ground Relief partners with local residents, K-12 students, tourists and college groups who are interested in helping us build a sustainable coastal marshland. We believe that localized maritime reforestation restarts the natural processes, addresses issues of sustainability, cost, and community resiliency. Our approach leverages the passion and knowledge of the community, the volunteers who come from across the globe, as well as our committed group of staff, experts, and supporters. We grow our own plants at the Common Ground Relief Native Plant Nursery in the Lower Ninth Ward. This allows us to control the species and health of the plants that we use in our projects. Each year, we grow thousands of bottomland hardwood trees, including Bald Cypress, and tens of thousands of stems of marsh grasses. We educate people of all ages to make sure that they have accurate, up-to-date, knowledge about the wetlands and the critical thinking skills needed to be effective environmental stewards. We engage people in site-based planting activities because evidence shows that 1st-hand experience is key to developing a connection between a person and a place. We partner with local, state, and federal agencies to maximize our impact. One of the big hurdles that we face is lack of awareness beyond the Gulf Coast. Despite the national and global implications of coastal land loss, people outside of the region lack an awareness of the situation and need for immediate, comprehensive, and sustained action. Help us change this. 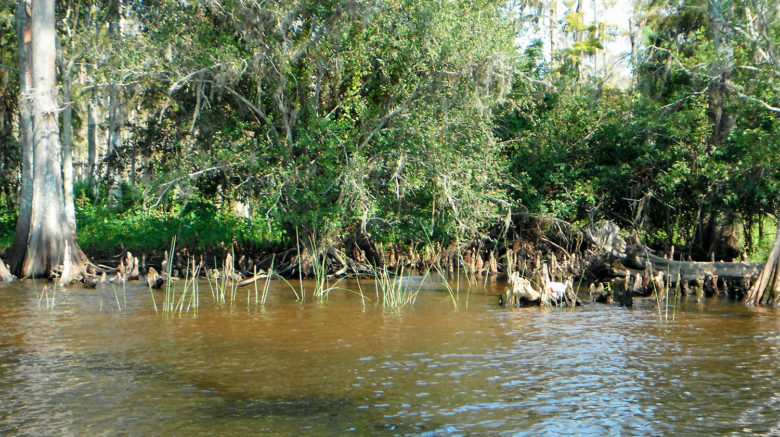 Help us protect and restore everybody’s coastal wetlands! © 2019 Common Ground Relief: Volunteering, Wetlands Restoration, and Construction.Benevolent by Rara Theme. Powered by WordPress.